Say goodbye to diapers and training pants. To be a real boy or girl like adults. 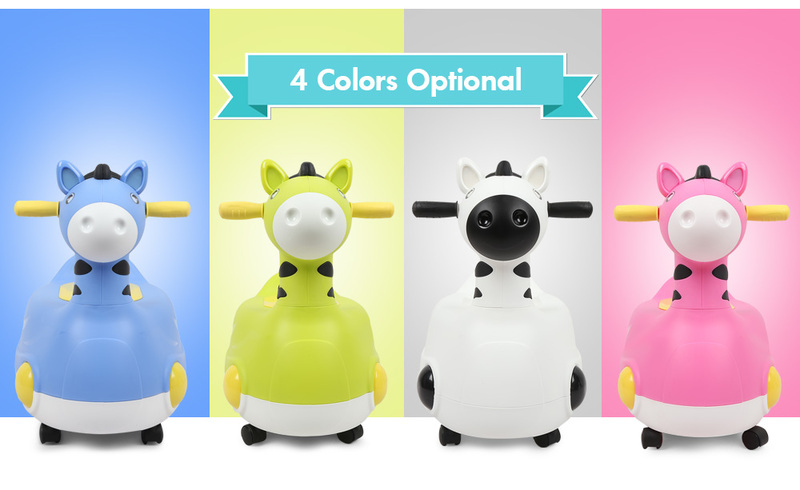 This animal shaped potty helps children have fun and build confidence. It is also a little car with wheels. A perfect gift for your babies. 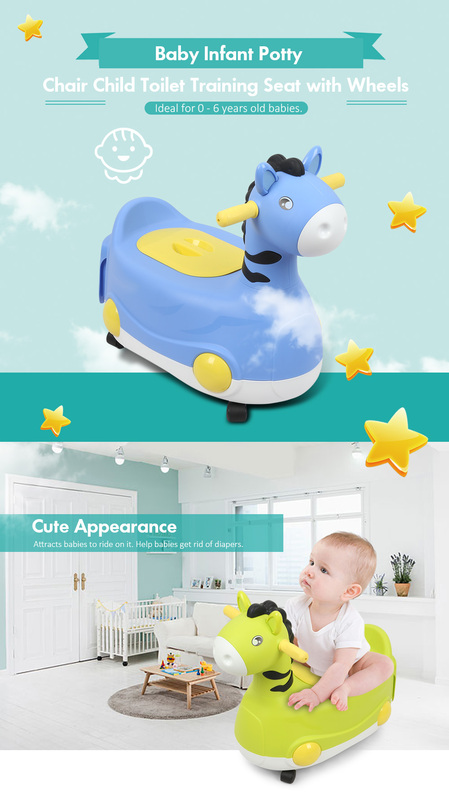 - Cute animal appearance attracts babies to ride on it. Help babies get rid of diapers. 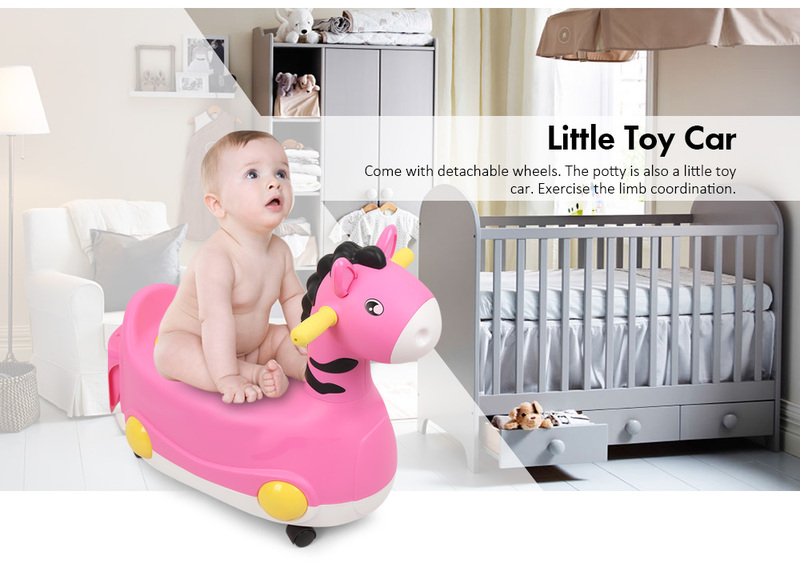 - Come with detachable wheels. 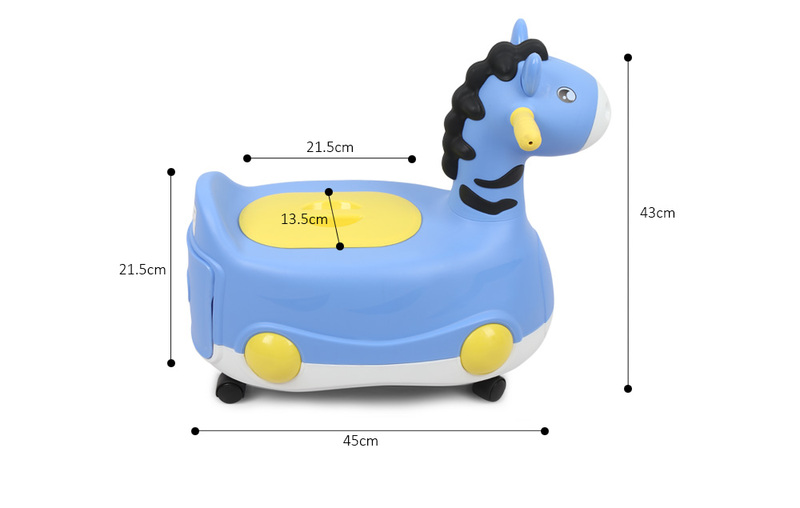 The potty is also a little toy car. Exercise the limb coordination. - Deep groove lets babies away from the excreta. - Drawer-shape inner barrel is detachable. Convenient for cleaning. - Sealed cap avoids the odor from emission. Clean and hygienic. 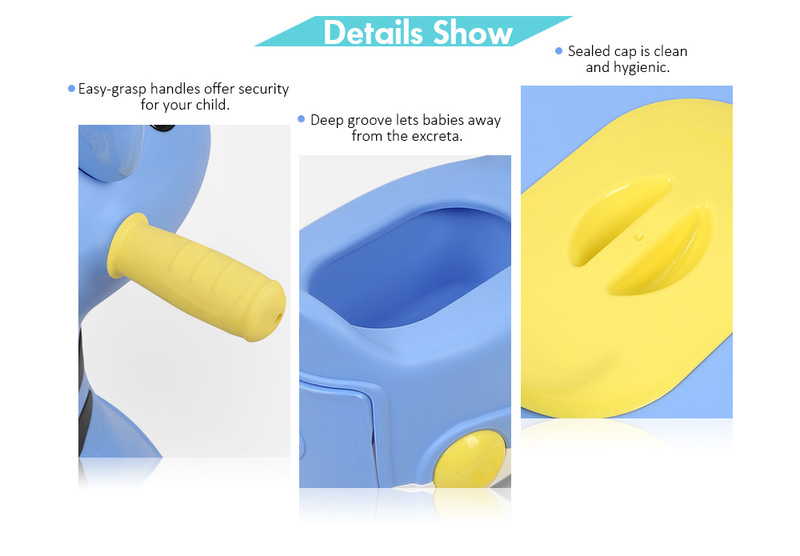 - Easy-grasp handles offer security for your child. Safe to use. 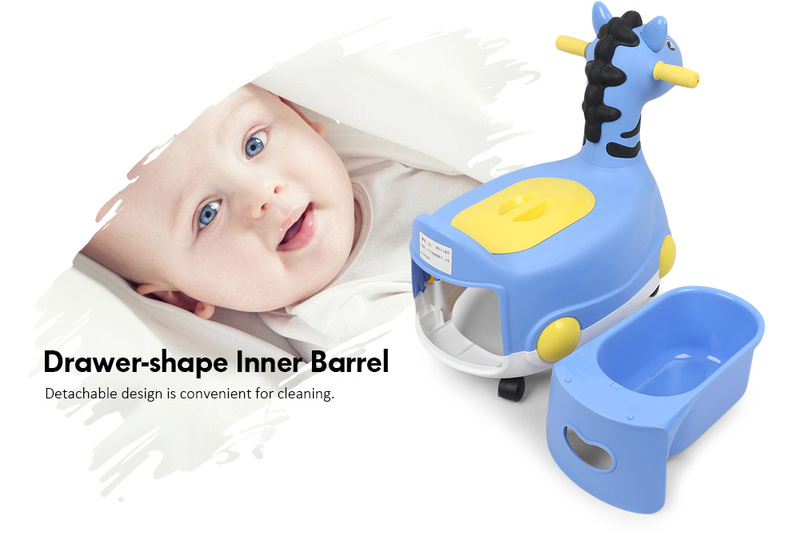 - Ideal for 0 - 6 years old babies.